Before attempting expensive, annoying, teeth whitening products try an alternative route. With various botanical and mineral compounds you may be able to stop creeping stains while catching some already in place. 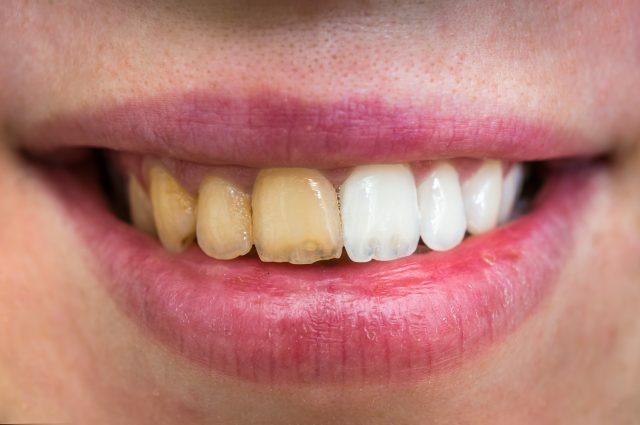 Try one or more of these surprising natural remedies for yellowing teeth to bring those ivory whites back and keep them sparkling for years to come. 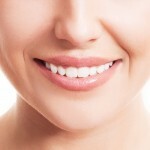 Oil pulling is an ancient practice which claims to “pull” toxins from between the teeth and deep in the gums. You take a tablespoon of coconut oil and swish it around your mouth for five to fifteen minutes (longer is better). Then rinse and brush with toothpaste. Be sure not to swallow the coconut oil while swishing and always discard in a wastebasket as it can clog drains. Oil pull morning and evening. It may surprise you how one more of these factors may be contributing to your yellowing teeth. You probably know how baking soda has been added to many toothpastes as a whitening agent but did you ever think to add in hydrogen peroxide? Yup, that same stuff you might put on a cut and watch bubble up as it kills germs. Make a wet paste of baking soda and hydrogen peroxide and gently brush your gums and teeth with it. If you have a sore in your mouth it may sting a little but will act as an anti-bacterial as well. The charcoal in your barbecue has actually been formulated to be used to help remove teeth stains. It’s called activated charcoal and has been found to absorb stains and toxins from the mouth. Find activated charcoal at your local health food store and use carefully, it can get messy and weird as the black goes everywhere during brushing. Strawberries are an excellent yellow teeth fighter. The seeds in the skin act as a natural abrasive. Grind up three or four cleaned, cut, organic strawberries into a paste and gently brush. Rinse and brush away the residue after about a minute. Do this twice per day and yellowing should diminish or in some cases vanish altogether. 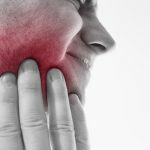 Stay on top of your smile by heeding some of these surprising natural remedies for yellowing teeth. 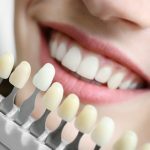 The teeth whitening industry is big but hopefully you may not need to enter it if you can keep ahead of the curve. Also, try to use a soft toothbrush as the other levels can be damaging to your gums.